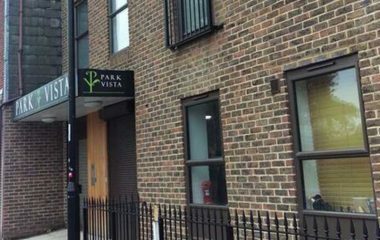 When we were approached by a new company to take on the communal cleaning at this block of flats in the heart of Salisbury, we knew we had a challenge on our hands. We started with a deep clean of the building including a very thorough carpet clean which gave amazing results. 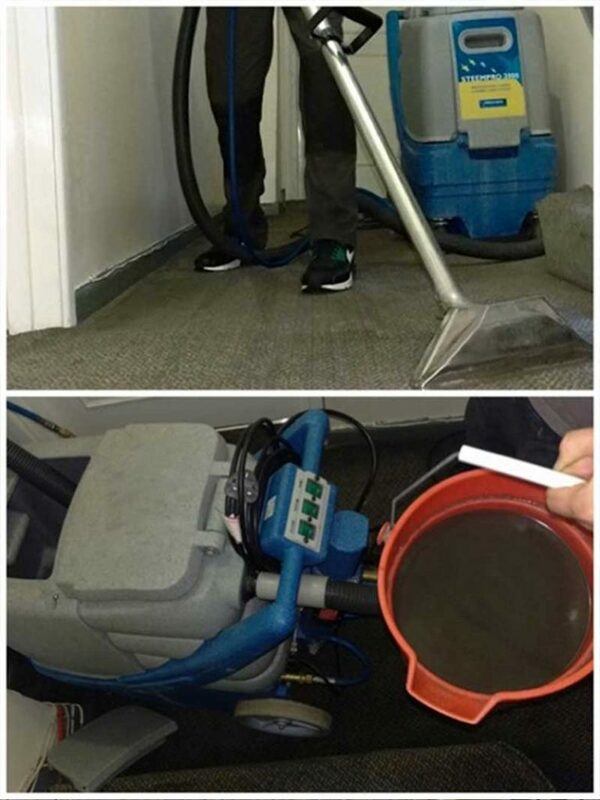 The carpets here had never been carpet cleaned so it really put our SteemPro 2000 to the test. It pulled out so much dirt and grime with such little effort. It transforms carpets wonderfully. 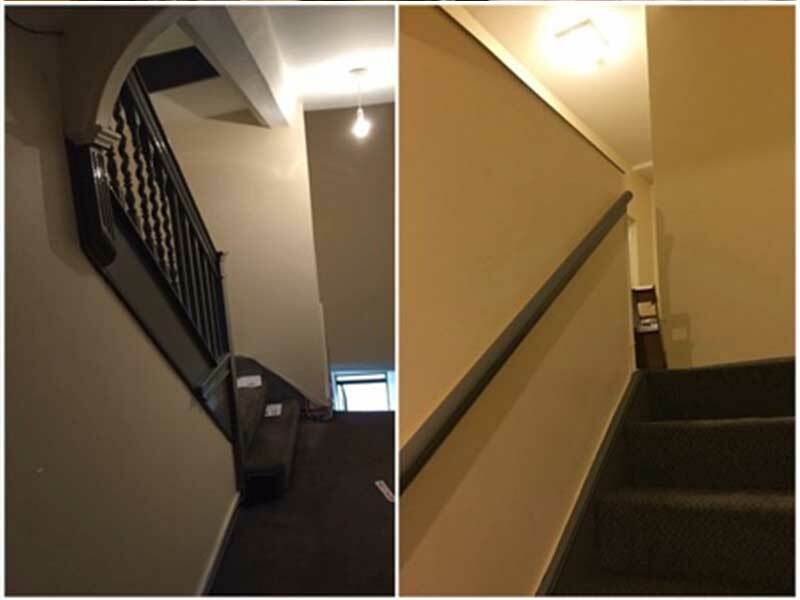 Our fantastic decorating team have transformed this neglected block of flats. As you can see from the before pictures there was a broken window, stains on the walls and a bannister looking rather sorry for itself. We are really pleased this block is now back to the standard it deserves. 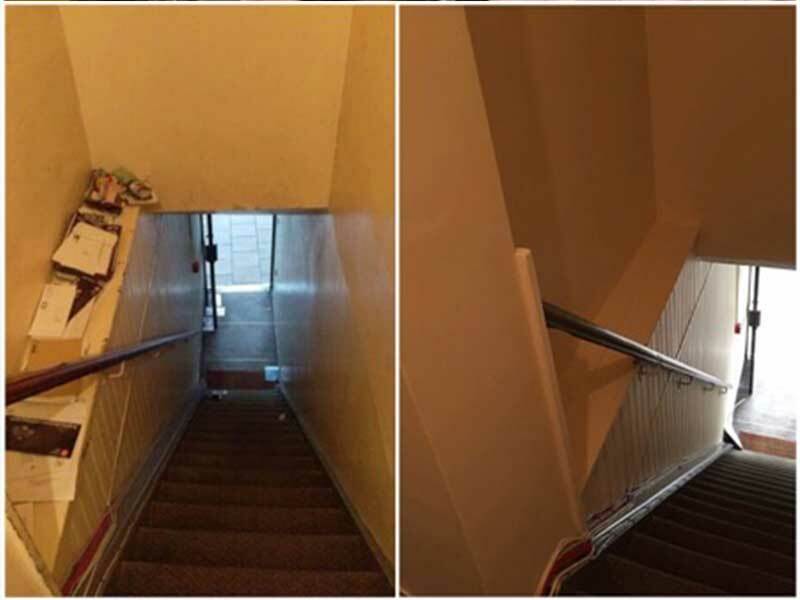 We continue to clean this newly sparking block of flats on a monthly basis and have found the residents are extremely happy with our work and our new customers are satisfied we will continue to do a great job for them. “I would like to say a big thank you to your team. Cherry Estates have been very cooperative and patient throughout this process. 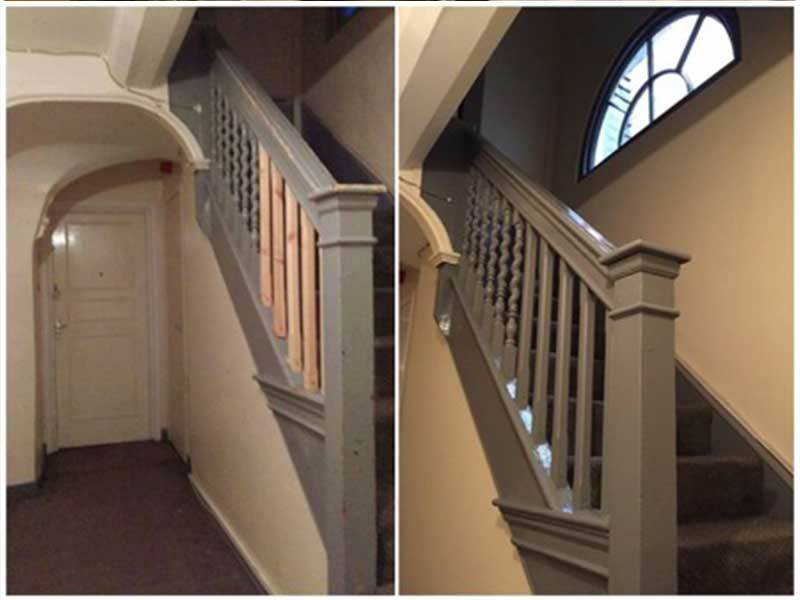 The pictures look brilliant, I hope the Tenants keep it this way.” – Middlesex Property. Once we’ve received your enquiry, we’ll book a site visit with you and then give a detailed quote and schedule to keep your property in tip top shape. 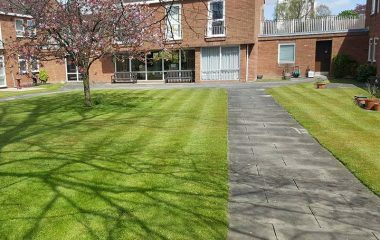 Cherry Estates is a specialist building maintenance contractor specialising in building refurbishment, contract cleaning services and landscape maintenance for apartment and office blocks. Based in Amesbury near Salisbury, Wiltshire in the South of England, we work in partnership with property management companies, estate agents, letting agents and residential housing associations. 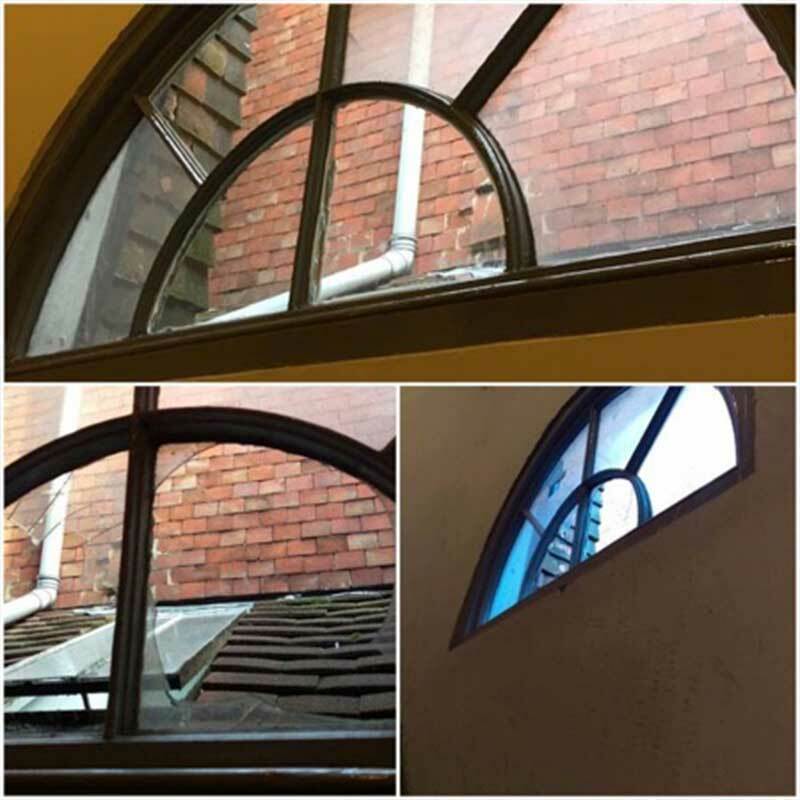 We offer a comprehensive window cleaning service for flats, apartments and offices. We can put together scheduled cleans to ensure your windows are kept clean all year round. Are you looking for a dynamic and reliable cleaning or landscape maintenance partner? Then call us today on 01980 625758 to discuss your property requirements.